Herbs and herbal remedies. 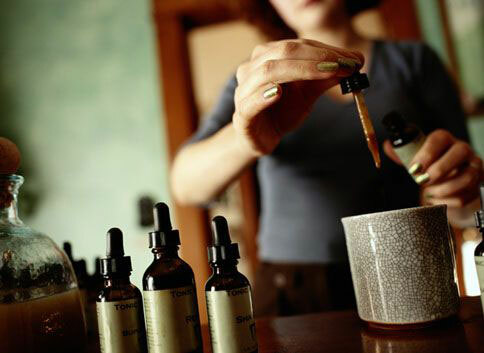 All the best information was distilled down into this must-have guide about making herbal medicines. This amazing “little” book reveals 15 herbs you should always have on hand, how to cheaply make your own herbal remedies at home, and five amazing ways to help rev-up your immune system in a crisis situation. Two good choices for your survival first aid supplies. This is perfect for emergency response, especially Community Emergency Response Teams (CERT). This is also an ideal product for any group or orgnization which must deal with emergencies or crowd control. 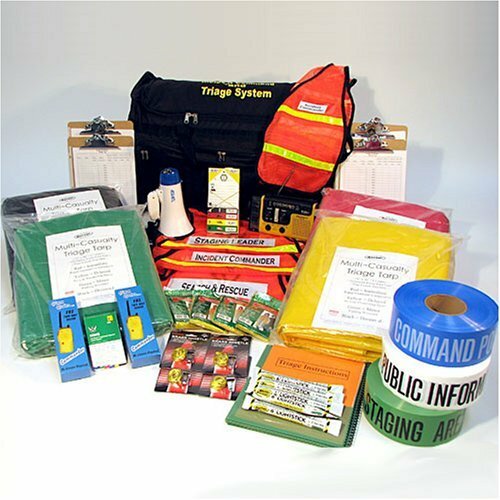 Kit Includes: 1 – Wheeled Duffle Bag (30” x 15” x 15”) 1 – Set of Four Triage Tarps 1 – Command Post – Barricade Tape 1 – Public Information Area – Barricade Tape 1 – Staging Area – Barricade Tape 1 – 50 pack Triage Tags 4 – Brass Whistle w/ Lanyard 4 – Legend Safety Vest 4 – Clipboards 4 – Golf Pencils 1 – Mighty Mega Mite Bull Horn 2 – Commander Walkie Talkies 1 – FM / Weather / Shortwave Radio w/Light 4 – Green 12 hour Light Sticks 4 – Adult Ponchos 1 – NIMS Guide 1 – Incident Command and Triage Book 40 – Pages of Triage forms: (Patient Evaluation, Body Identification, Injury Assessment etc), Triage Instructions, ICS Instruction. Safety Vest Tags. All included in a water resistance folder. 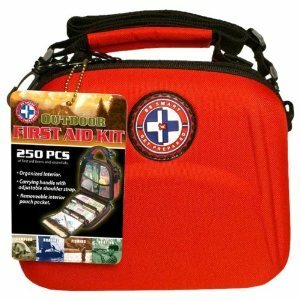 You will also find emergency medical supplies, first aid boxes, first aid bags and emergency medical kits below.